We are going to create a placeable mod from scratch. Here is the mod we made. 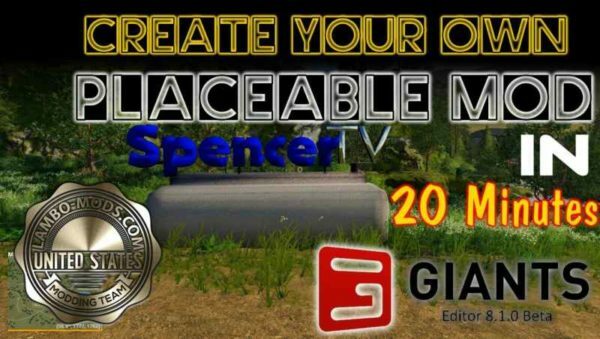 First I’m going to show off the mod I made for Spencer TV and then we will watch about 3 minutes of high speed blender creation. Once the Music Stops I will start to bust in to texturing and talking you through it. Then we will import it into giants editor 8.1 beta. And to finish it off using notepad plus plus.